The New Residences of Yorkville Plaza - Breaking News Plus an Exclusive Offer! Home » Downtown Toronto Condos » The New Residences of Yorkville Plaza – Breaking News Plus an Exclusive Offer! 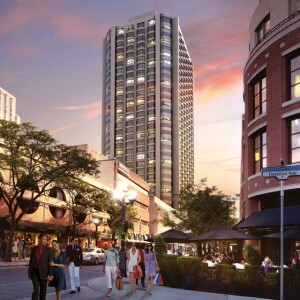 The New Residences of Yorkville Plaza – Breaking News Plus an Exclusive Offer! Camrost Felcorp Inc. has just announced that the legendary Four Seasons building has officially become The New Residences of Yorkville Plaza. In recognition of this exciting news, there’s an exclusive VIP Broker offer, only available for a limited time. Don’t miss the opportunity to live in Toronto’s Dream Location. This will be your last opportunity to buy at Pre-Construction pricing at the most prestigious address in Yorkville! Developer Camrost-Felcorp is converting the existing 31 storey old Four Seasons hotel into 550 luxury condominium suites. Built in 1971, this hotel building was the catalyst in transforming Yorkville from a village of coffee houses to a luxury destination. As the place “to be seen” in Yorkville, it has a rich history of being a famed stomping ground for celebrities and socialites, and each September plays a major role in the Toronto International Film Festival. Yorkville Plaza will be located on the south east corner of Avenue Road and Yorkville Avenue. The building’s transformation will include vertical glass accents, in patterns of opaque and transparent enamelled glass to the existing two story podium. The first two levels will be devoted entirely to retail space, refreshing the sizeable commercial footprint. Above the two storey podium, the conversion involves a complete revamp of each hotel floor. With prices starting in the mid $300’s, suite designs range from bachelors, one bedrooms, one bedroom plus dens, two bedrooms, and penthouse floor plans. >>Click here to contact me, if you are interested in purchasing in this project and would like more information, or any other condo development in Toronto.